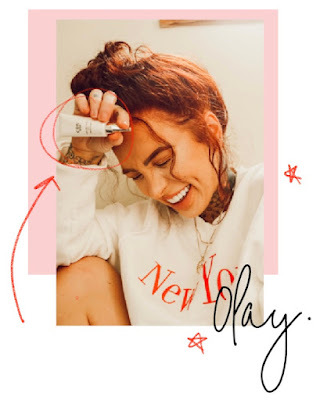 Olay Eye Pro Retinol Review | . My immediate thing is to see how fast the product dispenses. I hate bad packaging where you loose half the product with minimal effort or squeeze. With this it passed with flying colours down to its little nozzle, you won't be loosing any cream with this one. Packaging wise i really love the actual container its very clean and fresh looking. Minimal. Very photogenic if you like those product flatlay ladies. 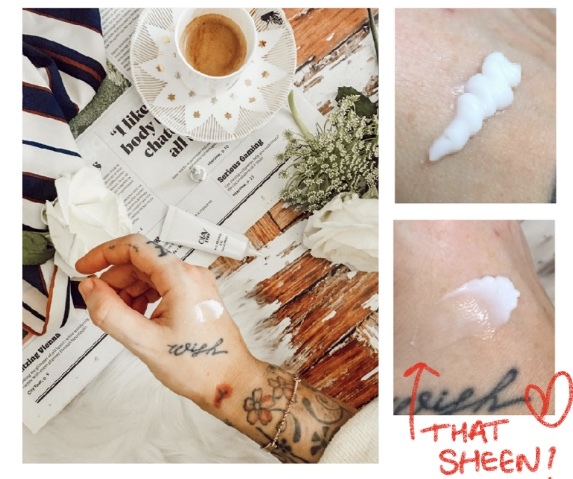 The image on the top right is a very lavish portion i know but i have to check the texture right?! It really is beautiful. It feels luxurious - less high street more high end. It feels smooth and not sticky ... i'm not very good at describing things as you all know but honestly i was a little shocked at how nice this was. 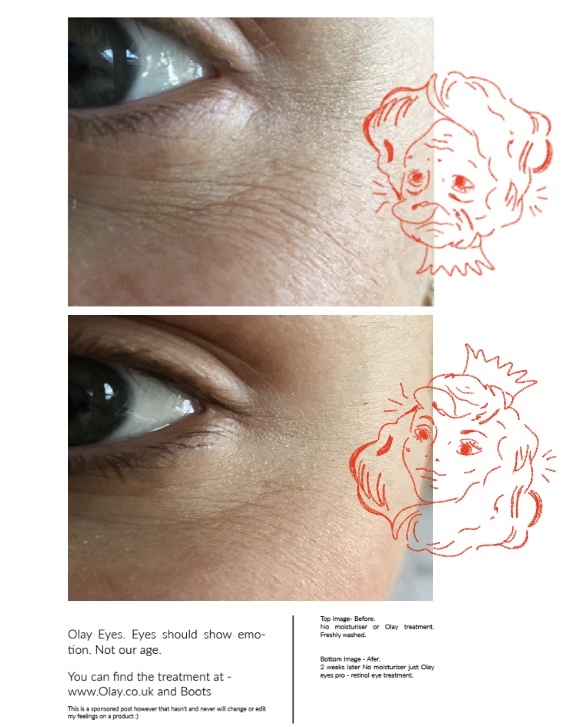 I've tried products where it seems like instead of plumping or moisturising under the eye all they would do would fill the cracks and give you the placebo effect. This doesn't feel like that. 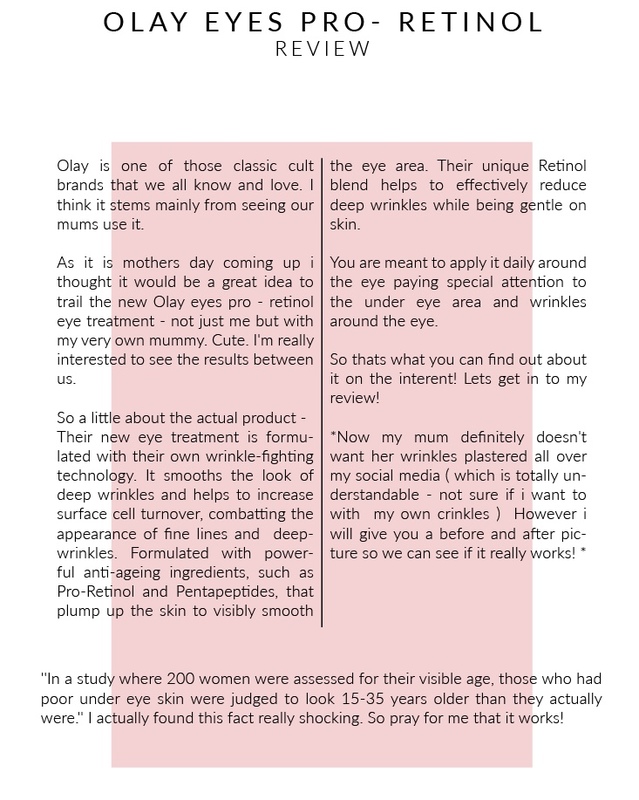 My mums results and feelings - '' Very nice texture, Not surprised as it is Olay and have loved them for a long time. Very moisturising. I have noticed a change with my deep wrinkles. Somehow my face feels fuller. Will be repurchasing. My results and feelings - As you can see in my before and after i am genuinley impressed as it has only been 2 weeks not the full 4 that they say you notice the difference in. I've really enjoyed the experience of doing this with my mum and both seeing the results which means it does work on a variety of skin! It's actually made me excited to go and see what their other products are all about!